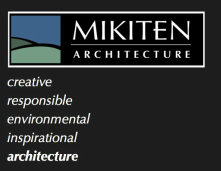 Mikiten Architecture was Universal Design Consultant to project architect Leddy Maytum Stacy. The groundbreaking new complex was envisioned as a shared home for nine disability-related agencies. Named after disability rights pioneer Ed Roberts, it is located adjacent to Berkeley’s Ashby BART station to facilitate easy transit access. 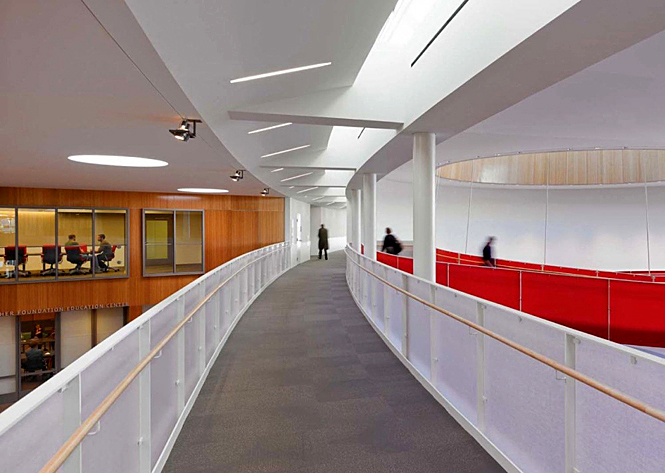 We helped the team push beyond the ADA (Americans with Disabilities Act), beyond the building code, and beyond standard ideas about wheelchair accessible design. Creative Universal Design strategies resulted in a sculptural helical ramp to the second floor, extra-large elevators to allow for multiple wheelchairs at once, and design around a variety of acoustic and visual needs. The large central space is used for all sorts of community meetings, as are the several large conference rooms off of it. These spaces have helped to create a strong bond between the agencies housed here and the neighborhood. 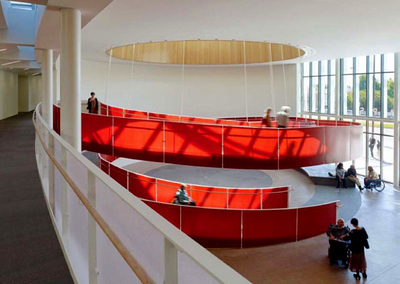 Project Type: Commercial office space with shared meeting spaces and a café.